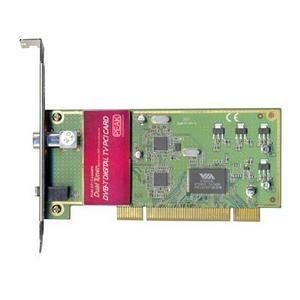 PEAK DVB-T Digital TV PCI Card is the perfect solution to turn your PC into a media center. The Dual Tuner can let you watch and record two channels at the same time. Through your PC, you can now watch free-to-air digital terrestrial TV shows, listen to the radio, record / playback programs in DVD quality and capture the images from these programs. You won't miss any moment of the favorite programs by setting the functions of time-shift, scheduling and real-time recording.